Dr Uma's passion towards music encouraged her to learn music at 59. She is all set to launch her album in February. 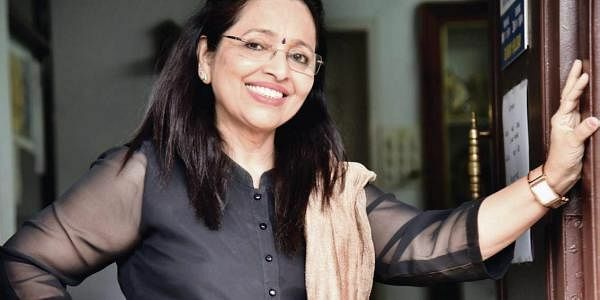 BENGALURU: If age is a state of mind, then Dr Uma Sheshgiri, a 60-year-old medical professional-turned-singer from the city, is the definition of this adage. At the age of 59, she decided to learn Hindustani and Carnatic music and now she will be launching her own “Popular music” album in February, next year. “I am professionally a doctor and I have always been interested in music. But I never thought it would be possible for me to come up with an album,” said Dr Uma. Uma joined PRISM, a music school with its own unique history, wanting to learn Carnatic music. “I learned so much more than I thought was possible,” said Uma, who is also the chairman of Indian Medical Association and Academy of Medical Specialties. “I can also compete with youngsters now,” she added. Playback singing, despite having a lot of technical aspect and requiring the basics of classical, folk and a lot of other genres, is addressed as “light” music by experts. Its very name and the lack of graded syllabus for playback singing in the country, unlike for Carnatic and Hindustani music, prompted two musicians, namely Priyadarshini and Mahesh Mahadev, to come up with a structured syllabus for aspiring playback singers. Naming the genre as “Popular Music”, they have incorporated Western music, Bollywood, Classical, Ghazal, Carnatic, Folk, Bhavgeet and Hip-Hop. She has rendered her voice to over 80 Kannada, Tamil and Telugu films including blockbusters such as Cheluvina Chittara, Julie, Muttina Maleyali, Rocky. Priyadarshini is from Singapore and resides in Bengaluru. Besides acing singing, she also holds a degree in engineering from Singapore and is pursuing a Ph.D in Film Music from Mysore University. Mahesh Mahadev is a music director, composer, and lyricist. As a family friend, Priyadarshini was always fascinated on how multi-talented Mahesh is since he is also a sculptor and a painter. They decided on a joint venture to give something back to the society. Priyadarshini established PRISM in 2014 with the help of her music-loving father, Ram. The institution has now opened branches inside the two campuses of M S Ramaiah University, one at Mathikere and the other one at Peenya. The new designed syllabus for Popular music will be offered as an open elective in the university from next year, not only to the students of the university but also to the general public. “It’s time we standardised playback singing and it was my father who decided to run the classes in the education centre,” Priyadarshini said.